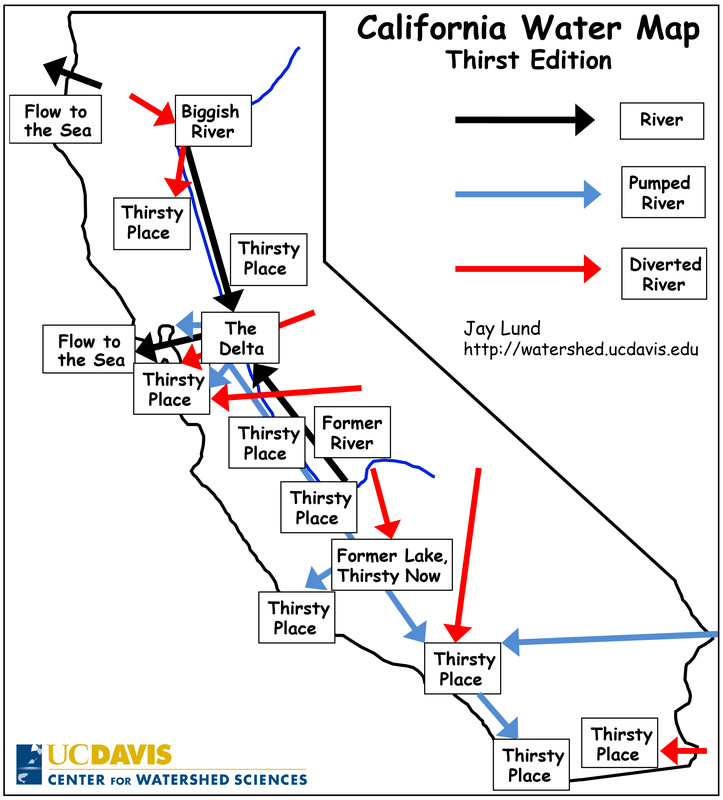 There’s only so many acre-feet of water jargon the public can absorb during a drought. Here’s a primer that avoids wading into cubic-feet-per-second, appropriative water rights, overdraft, conjunctive water use and the like. This entry was posted in Uncategorized and tagged California water. Bookmark the permalink. You are having alltogether too much fun! Thank you. What is missing is a Flows to the Sea at LA. I thought about a “Pee to the Sea” flow from Southern California, but decided this would be too rude. Pundit wisdom these days holds that this will eventually be treated for reuse anyway. Finally, something even us knuckleheads can understand about the “mega, worst ever, really, really bad” drought!